The Cosa Active/Junior is referred to as a hip abduction orthosis. If the patient has a scissor gait, the orthosis prevents crossing of the knees and allows for more stable standing and sitting thanks to the abduction pads. This means you or your child need to expend less energy to cover greater distances. The functional orthosis also promotes a physiological gait pattern thanks to the improved pelvic symmetry and increased freedom of movement for the knees. The Cosa Active/Junior is also helpful for those who use a wheelchair – it makes additional wheelchair pommels unnecessary. You can use the orthosis from childhood all the way up to adulthood. The Cosa line includes the Cosa Active and the Cosa Junior. While the latter covers sizes 80–116 (this corresponds to a body height of 74–122 cm) and does not feature a zip, the Cosa Active is available in size 128 to unisex size L (women’s 46 and men’s 54). 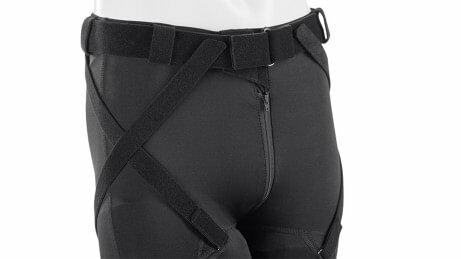 The individually adjustable straps stabilise and secure the pads and strengthen the outward position. The Cosa Active/Junior is made of a stretchable, breathable material which is comfortable to wear and helps minimise perspiration. The trousers are easy to clean and are machine washable at 40°. The starter set contains two pairs of trousers and a pair of pommels for regular changing and washing. 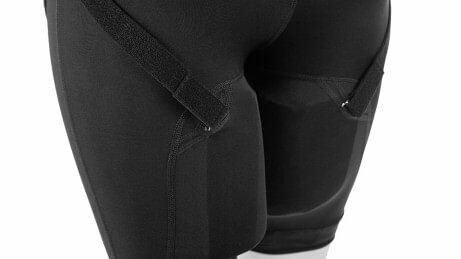 The abduction pads are fitted inside the extra padding pouches sewn into the trousers above the knee. 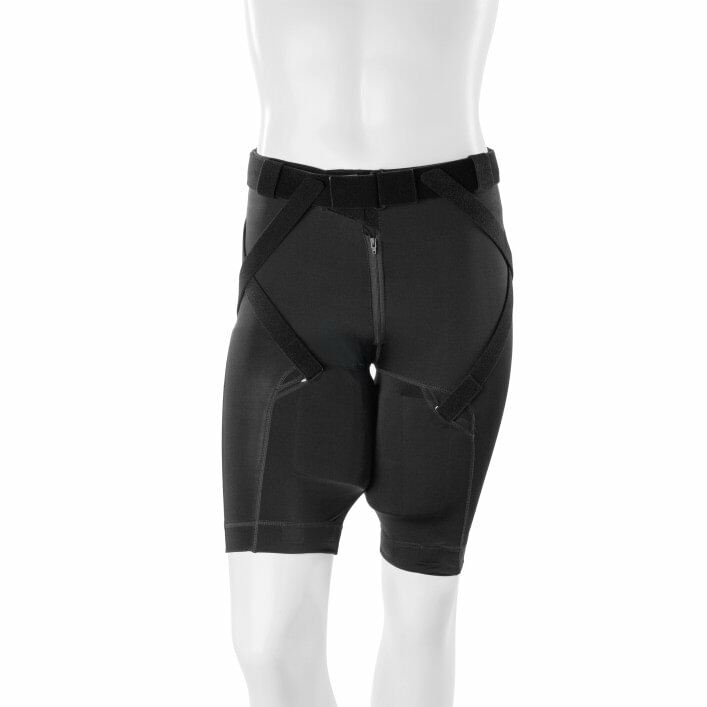 The pads act as an artificial gap between the knees, thereby facilitating a more stable gait pattern. An O&P professional can individually adapt the pads. 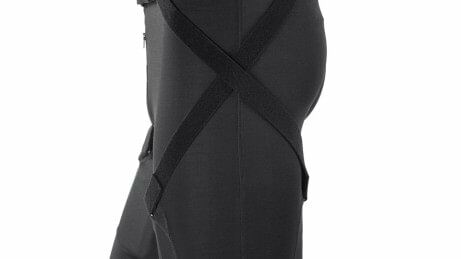 The Cosa Active and the Cosa Junior improve torso control and stabilise standing and sitting with pads between the legs. Mobility is also increased through reduction of the scissor gait (spastic crossing of the legs). The freedom of knee movement results in an improved gait pattern overall. Breathable, soft material, straps that can be individually positioned as well as the zip (Cosa Active) for easy donning and doffing: All this ensures a high level of wearer comfort. The orthosis makes additional wheelchair pommels unnecessary, as the abduction pads provide a wider sitting base when the user is seated as well. Lower leg orthoses can be easily combined with the Cosa Active/Junior in order to stabilise the gait pattern. The Cosa Active/Junior can be worn during the day and at night. It can help to prevent the knees from rubbing together at night in particular. The Cosa Active/Junior can be easily washed in the machine at 40 . The pads can be removed for this purpose. In what sizes are the Cosa Active and Cosa Junior available? 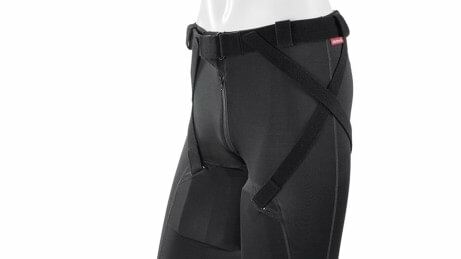 Can the Cosa Active/Junior also be worn under normal clothing? Yes, that is no problem under normal trousers, for example. How is Cosa Active/Junior cleaned? The individual abduction pads are removable, so the trousers can be washed in a washing machine at 40°C. The starter set contains two pairs of trousers for changing and washing. Can leg orthoses continue to be worn? Wearing ankle foot orthoses can complement the function of the Cosa Active/Junior for improving the gait pattern. Therefore, it is possible to continue to wear ankle foot orthoses, but they should be checked by an orthotist to ensure a good overall fitting. Can I drive a car with the Cosa Active? It is not possible to make any specific recommendation. You must be able to safely control any vehicle for which you require a driving licence and insurance, or which is used in traffic. Your ability to drive a car when wearing a Cosa Active should be determined on an individual basis. You are required to observe national and state laws. 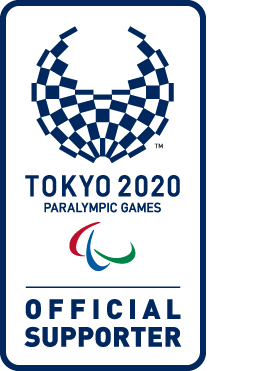 Is it possible to take part in sports with the Cosa Active/Junior? Yes, in fact it is recommended that you are active. Speak to your orthopaedic technician to get their advice on which sporting activities are most appropriate for you.